XT Phayathai by Sansiri. 5 minutes from Phayathai BTS Station. XT Phayathai is a freehold condominium developed by one of Thailand’s largest developers, Sansiri PLC. Sansiri is a multi-award winning Thai developer with many developments across Thailand. 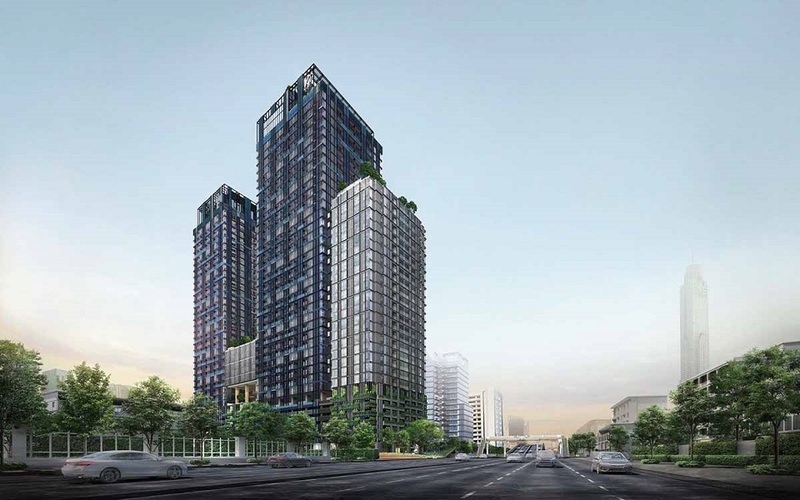 XT Phayathai is the latest in their XT condominium series. XT Phayathai is located 600 metres from Phayathai BTS Station and it takes about 5 minutes to walk to XT Phayathai from the station. 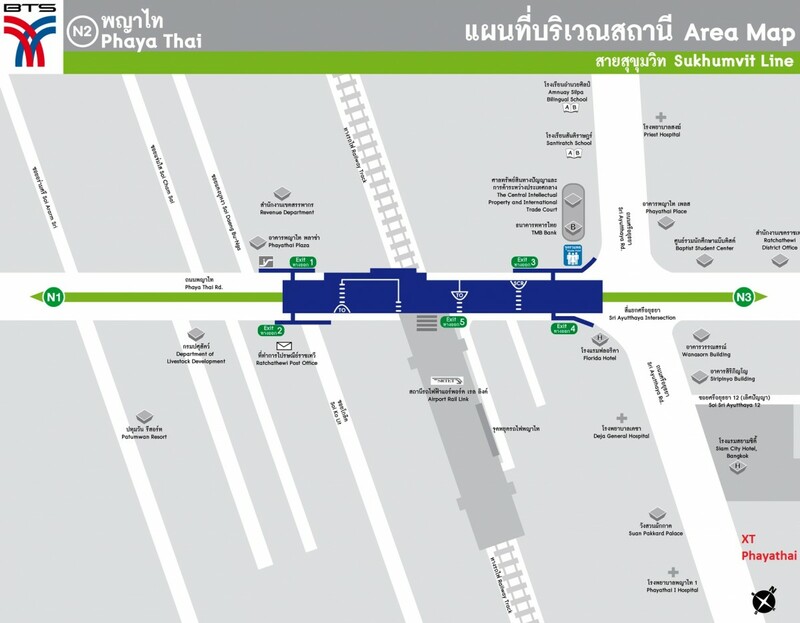 The station is also an interchange between Phayathai BTS Station and the Airport Rail Link. XT Phayathai is 500 meters from the Airport Rail Link and from this station, you can take a direct train to Suvarnabhumi Airport. It will take you about 25 minutes to get to the airport. Phayathai BTS is also 2 BTS stations away from Siam BTS. Siam BTS is an interchange between the light green and dark green BTS lines. Siam BTS Station is also where the popular Siam Paragon shopping mall is located. Many wealthy locals and tourists frequent this shopping area. XT Phayathai is also close to significant landmarks like Baiyoke Sky Hotel and the Pratunam Market. From the condominium, Baiyoke Sky can be seen extremely clearly. It will take about 5 minutes via taxi to get to the Baiyoke Sky Hotel and Pratunam Market. XT Phayathai is also close to Bangkok’s central business districts. It takes about 10 minutes to get to both the Sathorn Financial District as well as the new CBD at Rama 9. The type of tenants that you will be getting for a property like XT Phayathai would be people who are working in the CBD, medical tourists or people who go to the schools in the area. Being just at the fringe of the CBD, XT Phayathai is a good property for people looking to rent but prefer something more affordable and yet well connected to the CBD. There are many educational institutions in the area, especially tuition centres. The international teachers will also contribute to the tenant pool. There will also be a large pool of medical tourists as XT Phayathai is located opposite Phayathai 1 Hospital.